A few months back, we opened our new office in Las Vegas. … and you can see from the pic above… the office isn’t even that big. … but why take all that money out of working capital? Oh, and building business credit is important. If we want to finance something else later, we’ll be very glad we have a pay history on a commercial equipment lease. What are Office Equipment Leasing Rates? Startup businesses or folks with bad credit call us names sometimes when they get told what things cost. The name calling isn’t a problem… we think it’s funny. Some new business owners don’t finance because they think the payments should be lower. Worse, sometimes these folks get told fake payments… and end up in a bind. Also – think about it. A third of new businesses fail in the first 2 years. Repossessing used cubicles and other office furniture? It’s so worthless that some guides recommend just donating this equipment for a tax deduction. Since startups get higher payments when they lease or finance equipment, should you just pay cash? If you’re a startup, and you’re offered financing… you should at least finance something. Establishing pay history on installment debt will do wonders to make later financing easier and less expensive. When we started, we wanted to use the same CRM (Customer Management Software) that other equipment finance companies use. …for garbage software that didn’t work. We ended up thankful that we financed our office furniture & computers – we needed that working capital even though our “business plan” hadn’t counted on surprise bills. 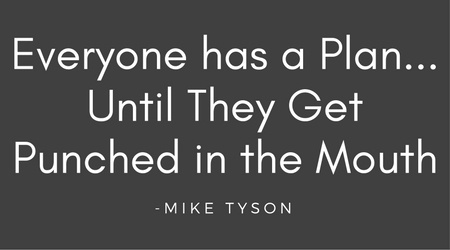 If you’re starting a business… odds are you’ll get punched in the mouth too. Should you lease your office equipment or do straight financing? If you’re doing a “lease”, that means you have the option to return the equipment at the end or pay “fair market value” to keep the equipment. If your contract calls for no residual payment, that’s financing. Your accountant may tell you to do one or the other based on your tax situation. On a lease, you write off all the payments. When you finance, you depreciate the assets, which is less good… but you can use Section 179 to write off the entire cost of asset purchase in the year you bought them. So… if you need a big tax write-off this year, you may be better off financing. When people buy “hard assets” like trucks or machinery, financing is usually the choice, because the equipment will still be worth a lot in 3-5 years. Used office equipment is usually worth diddly-squat – so the residual probably means a lot less to you. If you need to buy office equipment and furniture, financing or leasing could be the way to go. Newer businesses should especially consider this option – both to conserve working capital and build business credit. If you need to lease or finance office equipment, we can help. Give us a call at (866) 631-9996 or click the link below.